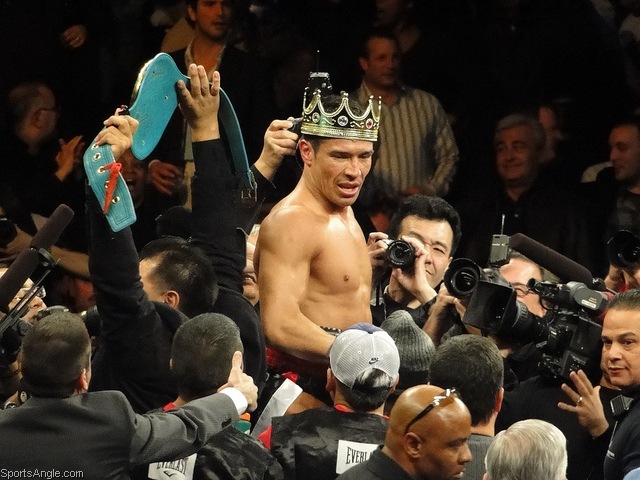 There was a moment on Saturday night, right after Paul Williams crumpled to the mat, when even Sergio Martinez had yet to fully register what had taken place. It reminded me of watching PiazzaÃ¢â‚¬â„¢s post-9/11 homer floating past me in the upper deck at Shea. Watching the formerly feared Williams sprawl face-first on the mat, time slowed to a crawl as our minds furiously processed what we had seen. And as MartinezÃ¢â‚¬â„¢s jubilation took hold, everyone erupted, regardless of rooting interest. A moment like that is a reminder that through all of the issues and nonsense boxing fans are privy to, it finds a way in the end to give us something to hold on to. There were so many levels at which MartinezÃ¢â‚¬â„¢s victory hit home. It was a win for everyone who loves the sport of boxing but hates the politics that go into it. The superb lineal middleweight champ who received less money for the fight than his challenger, was introduced first and was goaded into a catch weight to keep his date on HBO Ã¢â‚¬â€œ evening the ledger with one ferocious left hook. It was a win for a sport that desperately craves new stars. 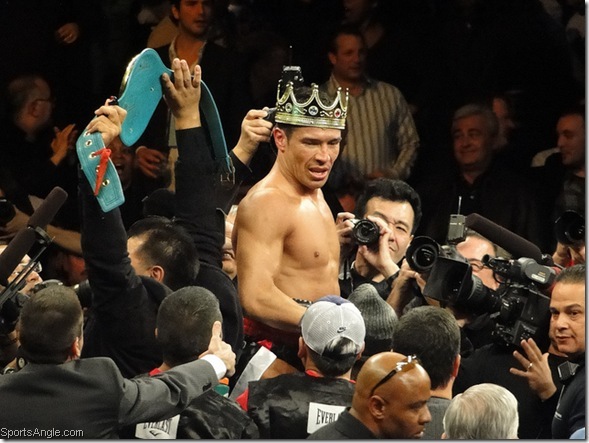 Sergio Martinez is no spring chicken at 35 years old, but he seems fresh enough, and seemingly overnight has put himself in the discussion as one of the best fighters in the world, and hopefully a marketable one. He has a ways to go in terms of recognition Ã¢â‚¬â€œ a rematch of potentially the 2009 fight of the year drew only about 5,000-plus Ã¢â‚¬â€œ but a buzzworthy spectacular knockout is a good start. It was a win for MartinezÃ¢â‚¬â„¢s promoter, Lou DiBella, who as recently as a few weeks ago was pondering gradually moving away from the sport, a jarring thought coming from a lifelong boxing guy. Saturday night might just keep him going for a while. In a broader sense, it was a victory for everyone who tirelessly does brilliant work under the radar, a reminder that when the stars align, itÃ¢â‚¬â„¢s possible for someone to achieve more than just intrinsic benefits from cultivating perseverance and talent. As I first found during the second and third Gatti-Ward fights, Boardwalk Hall may not look like much Ã¢â‚¬â€œ it sort of resembles a convention center Ã¢â‚¬â€œ but itÃ¢â‚¬â„¢s a terrific place to watch a fight. You get a solid view from pretty much anywhere, and the cozy confines lend to the community feel that exists among what has essentially become a cult following. After MartinezÃ¢â‚¬â„¢s stunning victory, total strangers turned to each other in amazement and celebration like that scene in the bar in Major League, and immediately began debating whether it was a crazier knockout than what Manny Pacquiao did to Ricky Hatton, also in the second round. ItÃ¢â‚¬â„¢s tough to say; I wasnÃ¢â‚¬â„¢t at the Pacquiao-Hatton fight. But MartinezÃ¢â‚¬â„¢s left hand sounded like a crack of thunder. My favorite part of the evening was the Boricua Boxing Ã¢â‚¬Å“Tweet-upÃ¢â‚¬Â organized by @FabulousMADY at Liquid Bar in Trump Plaza, a few hundred feet from Boardwalk Hall. Boxing flies so under the radar relative to the status it used to have, you sometimes forget thereÃ¢â‚¬â„¢s a pretty significant subset of people who still swear by it Ã¢â‚¬â€œ and they tend to be wonderful people, very passionate about the sport. It was great to hear Gabriel Montoya of MaxBoxing.com, who IÃ¢â‚¬â„¢ve talked to for projects but had not previously met, discussing a wide variety of boxing topics with friends and fight aficionados Marc Israel and Will Davidian, and meeting kindred spirits from Harlem to London. A great thing about boxing relative to other sports is that you have access to these guys, you feel like youÃ¢â‚¬â„¢re on their level. I remember after one of the Gatti-Ward fights, drinking in a bar in CaesarÃ¢â‚¬â„¢s with Teddy Atlas and picking his brain. And after Gatti beat Gianluca Branco, there was Branco in a Taj Mahal bar in relatively good spirits, and drinking relatively good spirits. On Saturday, despite suffering a brutal knockout, Paul Williams swaggered Ã¢â‚¬â€œ literally Ã¢â‚¬â€œ down the boardwalk in a mink coat and sunglasses, a welcome sight even to a group mostly populated by Martinez apologists, but who didnÃ¢â‚¬â„¢t want to see Williams badly hurt. 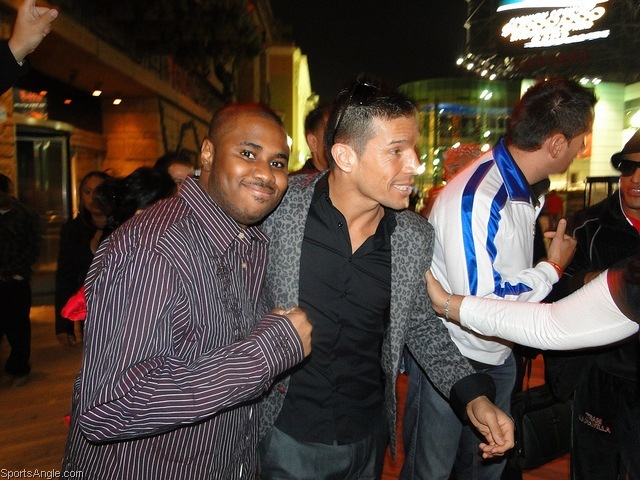 About a half hour later, Sergio Martinez himself walked triumphantly with his crew past Liquid Bar. 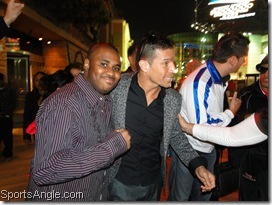 A few of us ran out to greet the middleweight champ, who graciously posed for a few pictures. After Alex Rodriguez hits the walk-off home run, or Kobe Bryant knocks down the game-winner, you donÃ¢â‚¬â„¢t get to see those guys strolling down the street afterward. And they most certainly do not wear a leopard-print sport coat. I think the moment that encapsulated the night was well after Saturday had turned to Sunday, when SportsCenter finally deigned it necessary to show highlights from the fight after hours of college football and Blake Griffin dunks. 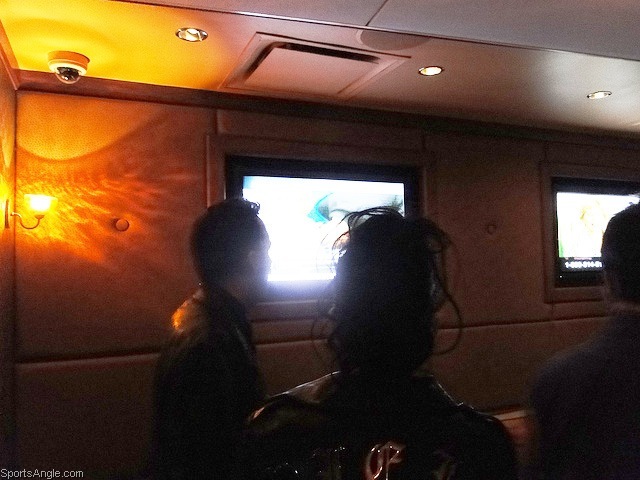 Everyone in the room, boxers and bloggers and fans alike, turned to watch. There had not been a replay board in Boardwalk Hall as there had been for past fights, so it was the first time most of us had seen the knockout since it happened. When MartinezÃ¢â‚¬â„¢s left hand connected, an uproarious cheer filtered through the bar. It was a cheer for Martinez, who achieved a sort of catharsis Ã¢â‚¬â€œ and who was the epitome of a class act afterward. It was a cheer for boxing, which assuredly needs all the feel-good nights it can get. And it was a cheer for the night itself Ã¢â‚¬â€œ for the sake of sticking with a sport that can often be maddening to love, and reaping rich rewards that very few know exist.